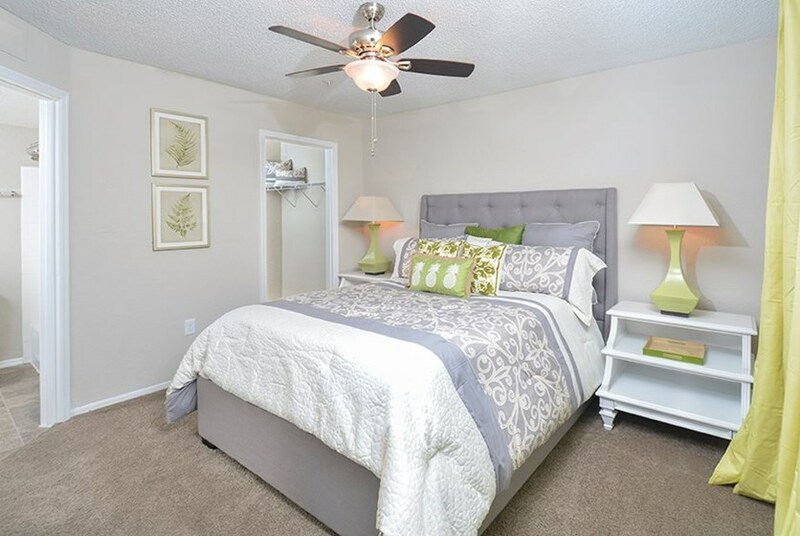 Charming 1, 2 and 3-bedroom units await you at The Carrington at Four Corners! 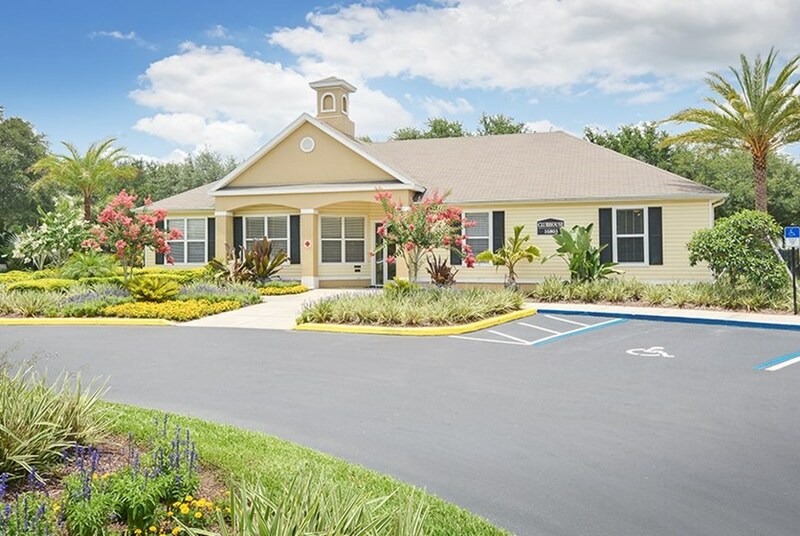 Just 30 miles away from the excitement of Orlando, this inviting community features a brand new sparkling resort-style pool, Internet café, a state of the art fitness center and much more! Residents benefit from free clubhouse and poolside Wi-Fi access, concierge services and an on-site car care center. 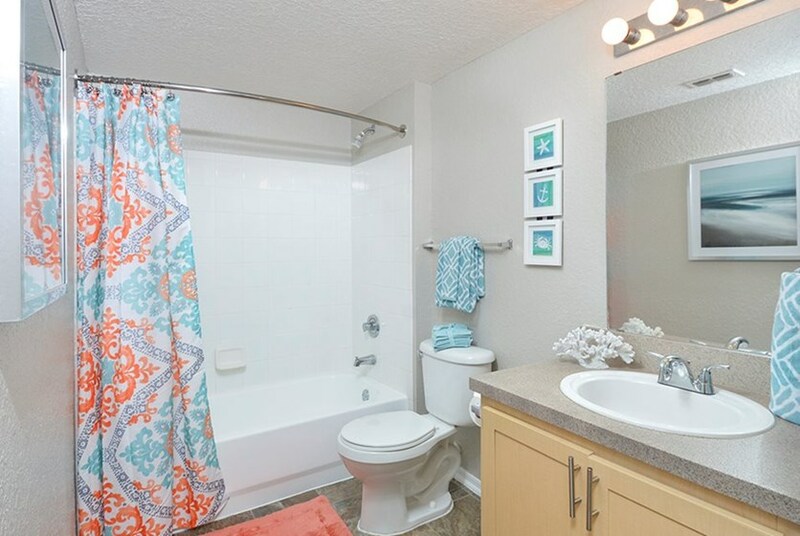 Spacious homes contain private bathrooms, wood floors, large walk-in closets and designer cabinetry. 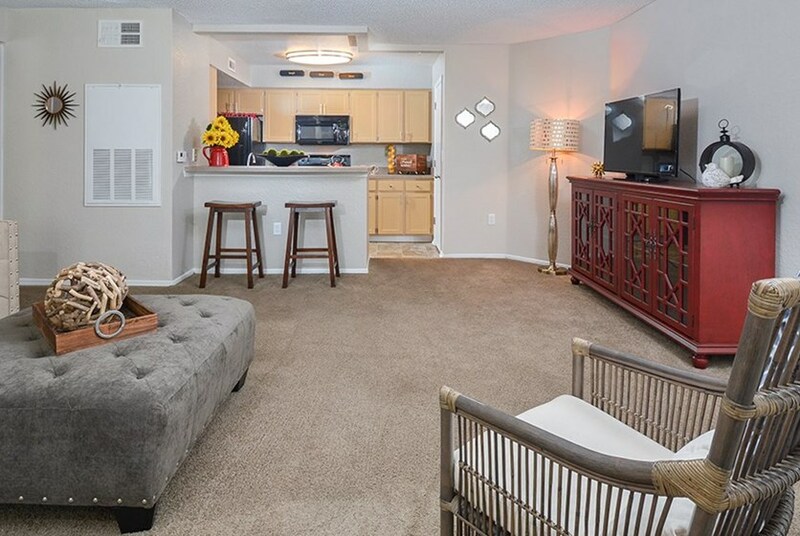 Stop by today to tour one of our gorgeous units! 1, 2, and 3 central air-conditioned homes vary in size from 709 to 1,082 square feet. Each unit contains upscale design features including designer cabinetry, breakfast bars and oversized walk-in closets. 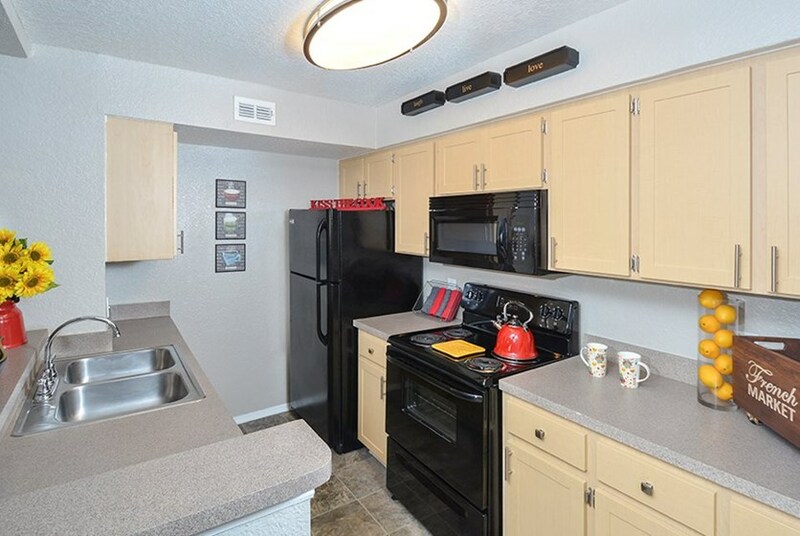 A fully equipped kitchen comes ready to use with a refrigerator, dishwasher and garbage disposal. Cook a special dinner for friends or family in a luxury kitchen complete with custom cabinetry and ample storage! Carrington at Four Corners is a terrific community offering apartment features designed to benefit our residents! Watch your favorite television shows on cable television. 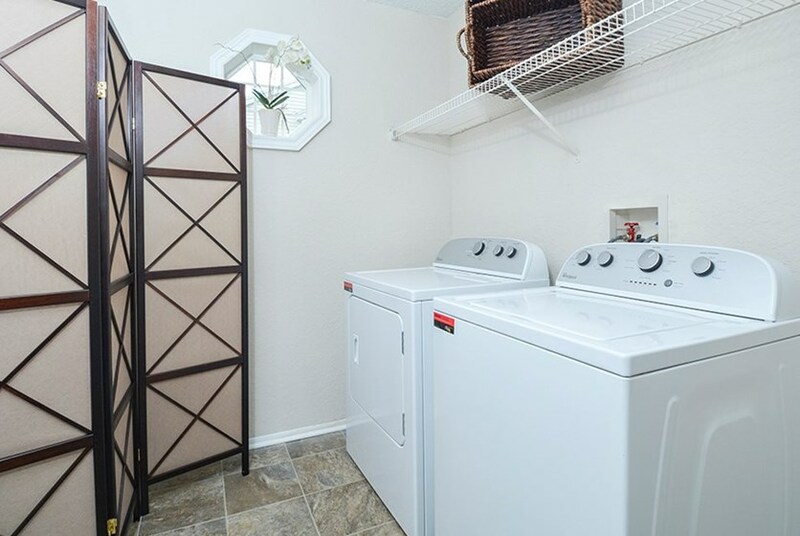 In addition, all units come with washer/dryer connections. 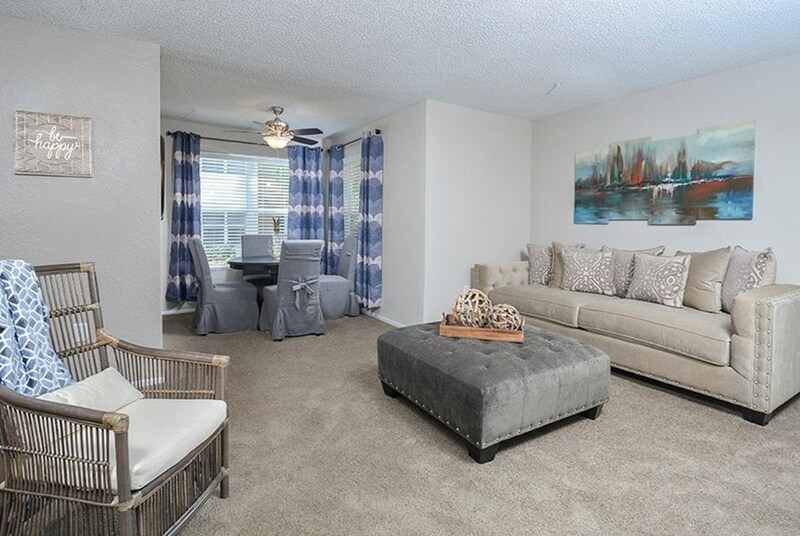 Open floor plans feature stunning natural lighting and plenty of storage space for excess belongings! 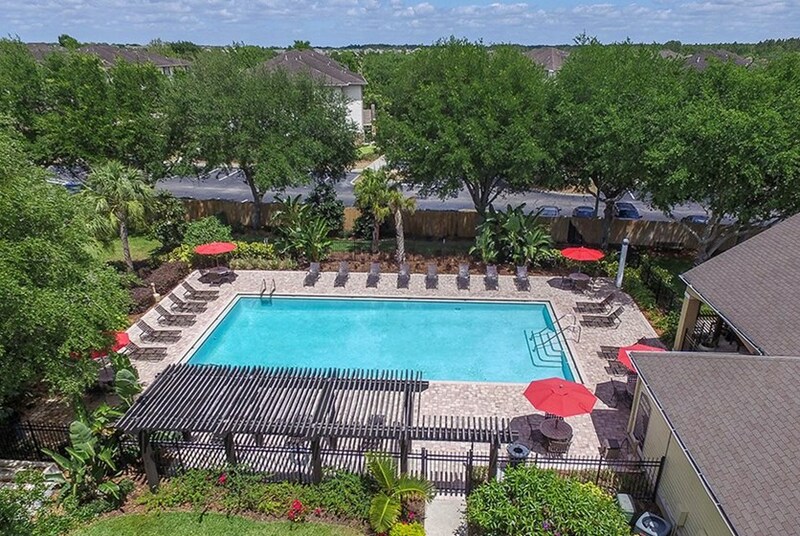 Exceptional community amenities range from a gorgeous resort-style swimming pool with a sundeck to a brand new state of the art fitness center! 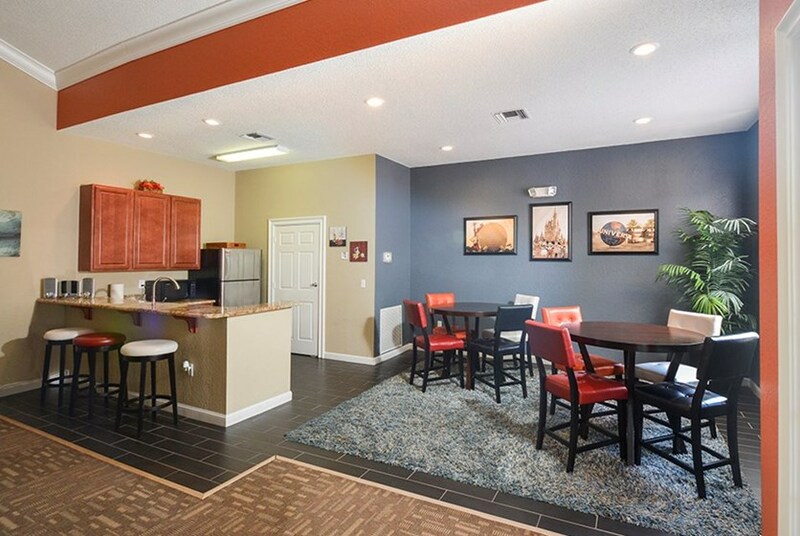 Located just minutes away from Walt Disney World, The Carrington at Four Corners also features a playground, clubhouse, coffee bar and an on-site car care center! 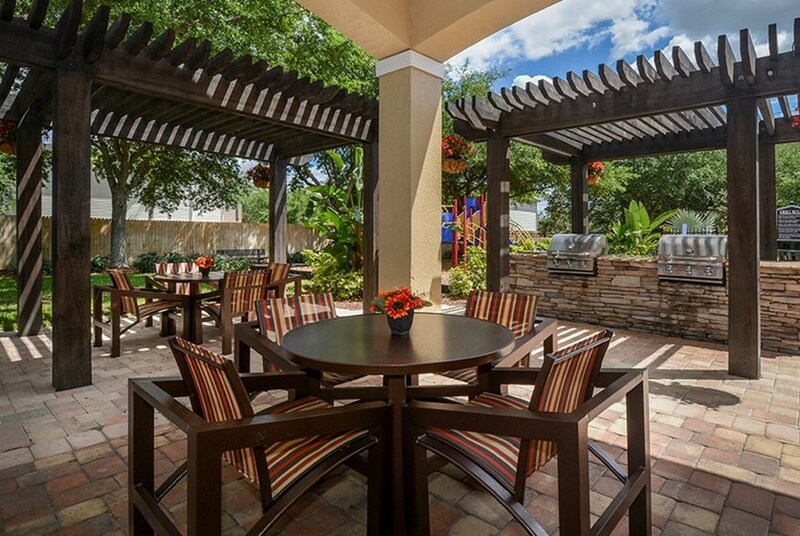 Community BBQ grills and outside picnic areas are wonderful for entertaining guests during those hot summer months! Relax by the shimmering pool or catch rays while laying out on the sundeck. Hit up the professionally equipped fitness center to work on that New Year's resolution. Finish up work in the business center while sipping on a delicious cup of coffee. 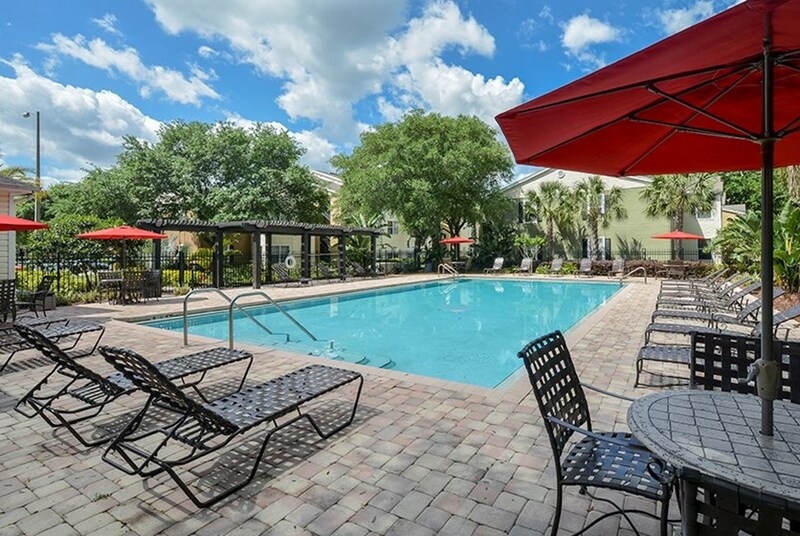 The Carrington at Four Corners offers an outstanding living experience just a short drive away from the hustle and bustle of downtown Orlando! The standard lease length is 12 months. Covered parking spaces are included in the cost of rent. Residents enjoy 24-hour emergency maintenance and a 5 star management team is located on-site. 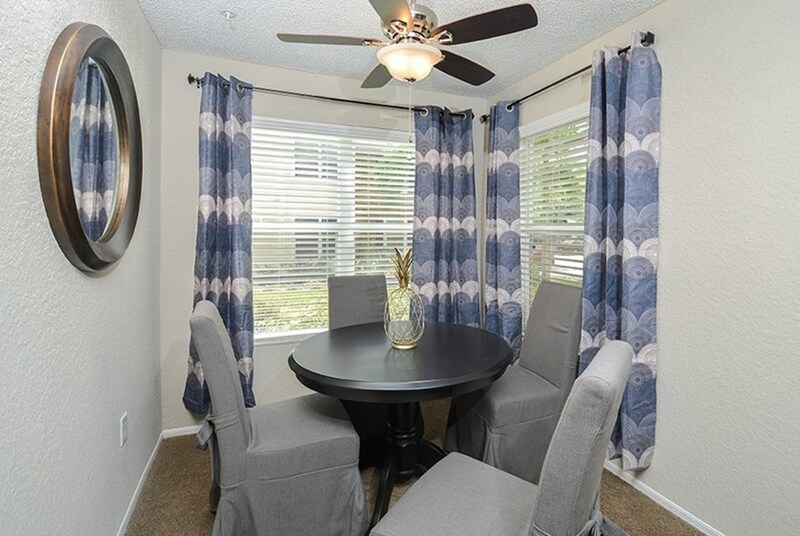 This quiet, family-friendly community holds the perfect atmosphere for relaxation! When you're not relaxing at home, be sure to check out the many dining and shopping opportunities in the surrounding area. The Carrington at Four Corners is a quiet community with top-notch amenities! The Carrington at Four Corners Apartments offers exceptional community amenities and apartment features! A shimmering resort-style pool, brand new fitness center and Internet café are just a few of the several perks afforded to residents. 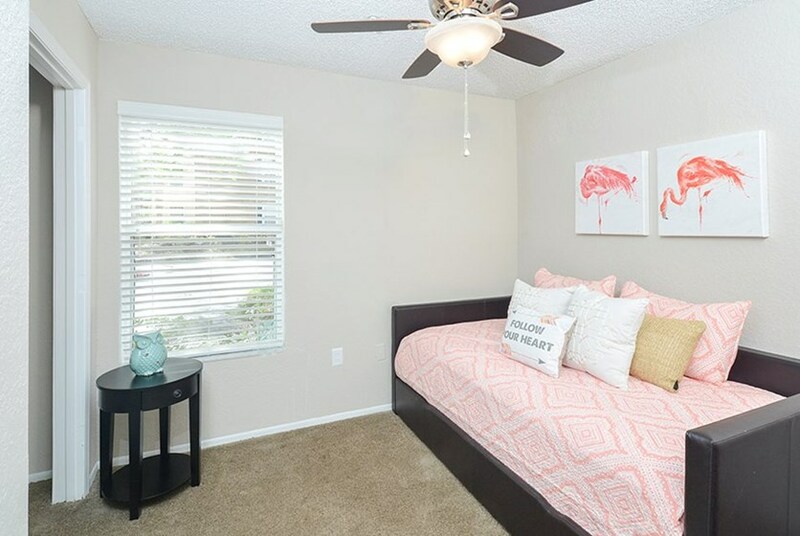 Enjoy close proximity to downtown Orlando as well as spacious floor plans and attentive service. Stop by today to find your dream home! Brand new fitness center with access from 5 a.m. to 10 p.m.
We've sent your message off to The Carrington at Four Corners. If you'd like to chat with the staff immediately, feel free to call them at (407) 287-5047. If you would like to chat with the The Carrington at Four Corners staff before your tour, you can call them at (407) 287-5047. We're checking availability for you now! Someone from the leasing team will contact you shortly. Meanwhile, please feel free to call The Carrington at Four Corners at (407) 287-5047.